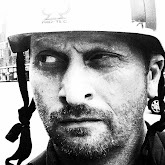 Al Coates - Adoption:Fostering:SocialWork: Contact: a Cornerstone of Adoption? I believe that 'contact' is the issue that is going to define the future of domestic adoption in the UK. Even just saying that I'm conscious of the range of responses that people will have depending on their experience and perspective. Passions run high, in all directions, when we talk of contact. This week that has been brought into focus when listening to a fellow adopter talk of the impact of contact going wrong with adopters feeling betrayed and being 'glorified babysitters' for the state as their adopted children turned their back on them and returned to first family. 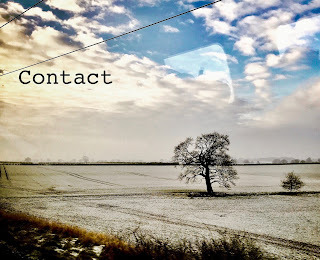 Then reading the article in the Professional Social Work Magazine that considered contact in light of the recent BASW enquiry on the role of the social worker in adoption it feels like contact is a pivotal issue for contemporary adoption. 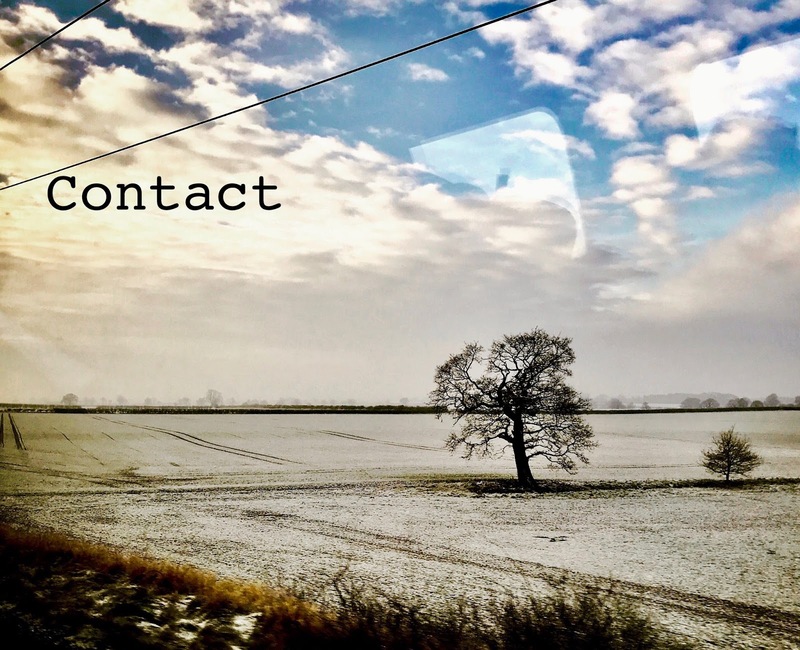 Contact is understandably tricky, as an adoptive parent it raises a spectre of anxiety that is hard to ignore. What if my child chooses or loves them over me? Our insecurities and vulnerabilities are laid bare. Why would we open the door to the world that caused the primal wound and trauma in the first instance? Why would we give access to the perpetrators of what are sometimes unspeakable crimes to their victims? All valid questions that I'd be lying if I said I hadn't considered for my family. But first families are more than one or two people, they're aunts, uncles, grandmothers, grandfathers, cousins and siblings. They can present as a safe connection to early lives and stories. Knowing and thinking all that it is understandable that it is often reduced to what adopters can tolerate, a letter a year. That said, social care professionals also resist, risks to stability with realism about what can or cannot be facilitated are all at the front of their minds. Speaking to a friend I described the contact that we'd built with our children's families as one of the hardest experiences of my adult life but it has also been one of the most rewarding. We have open doors to adults that are able to offer insight into the early life and circumstances of my child's journey to adoption that are invaluable. I'm not alone, many have travelled this path. It's damn hard but it adds colour to a black and white picture and unites worlds that are sometimes poles apart. I look to my youngest daughter, she sees what we've built as normal. There's no competition between this family and that family without wanting to sound cheesy we are all her family. Being candid there was resistance from social care when we asked if we could see our children's sibling. The risk seemed too great and the benefits uncertain but having learnt from earlier experience we went with our gut and forged ahead. Tentative meetings with an aunt and sibling four times a year ultimately led to friendship and daily support that was uniquely positioned to hold insight to our child's world. It was hard, for them as much as us, but joined the dots of all our lives that no other way could. Professionals had said it would not work but for the sake of our children we made it work. The current default of an annual letter feels like an appeasement, it's the most some adopters will agree to and pays lip service to the understanding that severing adopted children from their past may be adding trauma to trauma. I speak to enough adopters to see that letters are really hard to make work and often tail off for a whole host of reasons. I also know that asking first families to write letters isn't working for a whole host of reasons and to expect many to write is perhaps setting them up to fail. In many regards adoption must change to meet the needs of society as well as the children that traverse the process and the adults looking for children. Contact is one area that must evolve to better suit the needs of children and safely allow them to hold the past with the present. Good contact slays the mythologies that deceive and the fear of the unknown that circles children as they grow. It places children in a story where the beginning and end can be seen and those elements are not in competition. However, there are no blanket solutions. Creative and specific arrangements are needed and need to be facilitated. If we're committed to adoption then we need to embrace that without a change from the severance dogma of the 50s and 60s adoption will falter and fail the children who travel this world. Positive and meaningful contact strikes against the old paradigm, it dares to hold the old and new in tension for the best interests of children, the unwilling commodity in all of this. 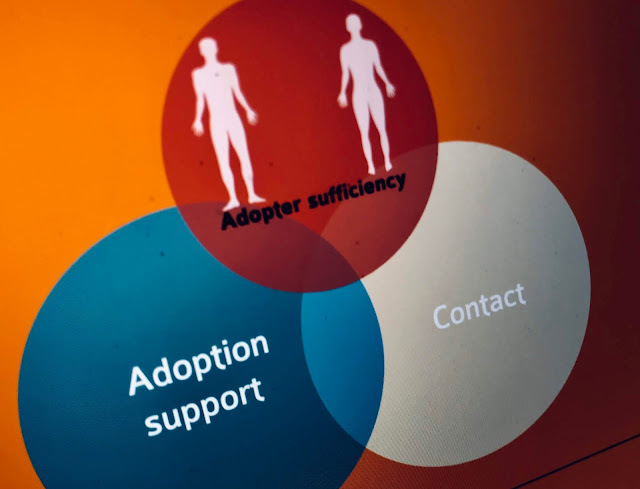 If contact is to be placed central to the future of adoption then we're asking more of adoptive families and birth families than ever before. Will that prohibit adopters coming forward, will they pay lip service to the notion of contact but slam the door shut beyond the adoption order? I don't know. As always the future's unclear. If you're an adoptive parent you're probably considering the challenges and risks that contact invites to your child, family and you. That's right but like all risks we weigh them agains the benefits and to see clearly in matters of the heart can be hard.